From left: Judy Hall, R. J. 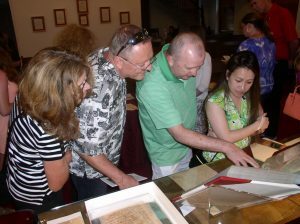 Hall, John Burcham and Diane Burcham, all of Leesburg, look at a restored book of records that had been laminated. 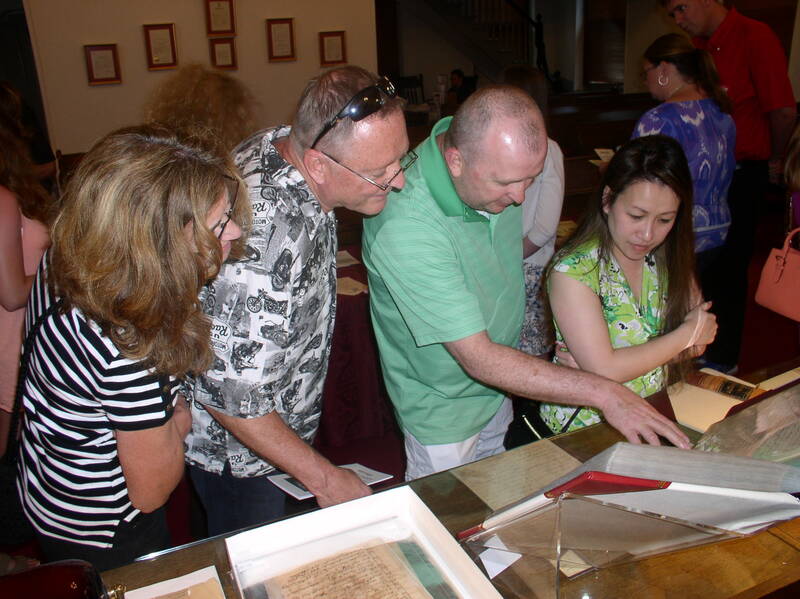 During downtown Leesburg’s First Friday event this month, scores of people got a glimpse of a war being quietly waged every day in the Loudoun County Circuit Court archives: the battle against the ravages of time, including mold, bookworms, rust and acid-laden cellophane tape. About 160 people stepped through the doors of Leesburg’s 122-year-old courthouse — away from the sounds of al fresco diners and street musicians — to learn how the county’s historic records are being preserved and restored.